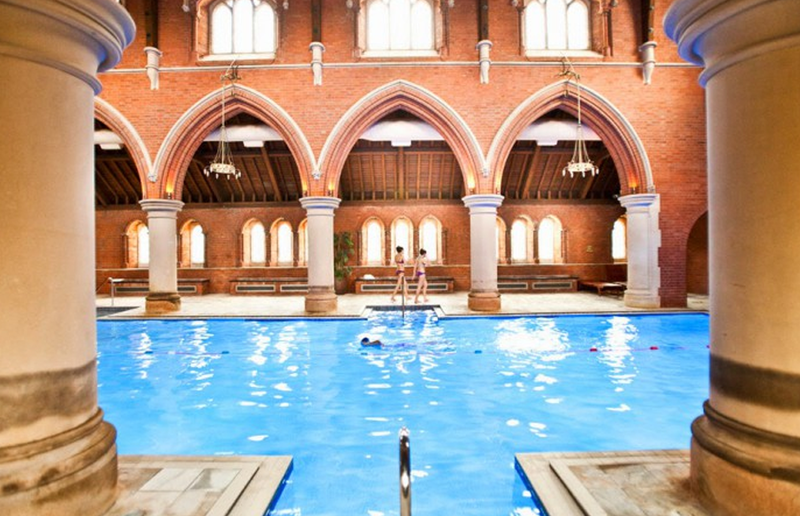 Have you visited this London Church which is now a swimming pool and sauna? 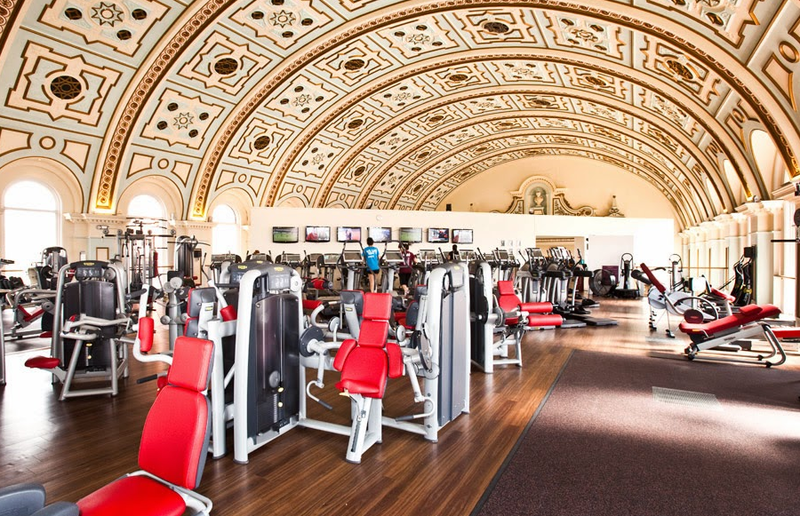 This 18th century hospital and church building in Repton Park is a new Virgin Active gym and fitness centre. The 25m pool and health centre is part of a gated estate littered with professional footballers. The former confessional box has been converted in a sauna, and there’s a pretty impressive ceiling whilst you’re on the treadmill. Should the novelty of the stunning swimming pool wear off, there’s an array of high-tech workouts to get stuck into as well. The chapel itself use to be owned by the Claybury Hospital for psychiatric patients, opening in 1893, as the fifth London County Council Asylum. It became a health club 20 years ago, though many have commented that Repton Park is still visited by its Victorian patients. Eery! Right up to the altar there’s been clever renovation work too. With a shower boxed in by glass tiles, in front of a jacuzzi! Blissful. The Virgin Active gym and pool is open to members, but you can find out more about a visit here. Visit Repton Park, Manor Road, Woodford Green, Essex, IG8 8GN.